The Oscars are as synonymous with top of the range actors and directors as America is with obesity – sorry, I meant freedom. It is a powerful and overwhelming presence in the annual line-up of traditional award ceremonies. To all intents and purposes it is perhaps the one you will, at some stage in your life, happen to catch a glimpse of. In reality the Oscars is so mighty, so omnipotent that it is actually the thing catching a glimpse of you. If you were to purposely strive for 24-carat fame you’d be hard-pressed to come up with a better alternative than campaigning your way into the acting profession and generating a performance(s) deemed worthy of its hallowed nomination. Yes, there are other methods of achieving fame/popularity, but the best way I can put it is there’s a reason why Crufts is better known than the Supreme Cat Show: it’s the best at what it does (plus cats don’t beat dogs). And on that note I will segue into a short dissection of what transpired on that famed occasion earlier this month in that star-ridden Hollywood paradise in California. Now it’s all been done before: the glitzy blitz of ‘spontaneous’ show business on the stage, the seizure of an auditorium by a freakishly well-bred wealth of multi-millionaires (I hear Rupert Murdoch was in attendance) and, everyone’s personal favourite, Oscar acceptance speeches. However, the tagline promoting this year’s event was reminiscent of so many floppy attempts at rejuvenating a stubborn commercial platform: You’ve never seen Oscar like this. Yes, yes we have. It was exactly the way it has always been, save the gifted artistry that led to Ben Stiller being reborn as one of James Cameron’s hypnotic-eyed Na’vi. I actually neglected to watch it as it occurred – in fact, I hadn’t seen it in detail until I started writing this – but as soon as a ghostly white Steve Martin and his co-host Alec Baldwin took to the stage to recite their rehearsed quips on character, I could see why I had failed to tune in for the real time broadcast. Apart from being so hackneyed as to have literally hacked off the ends of the nerves to my retinas, I couldn’t help but think that the farcical duo of Martin and Baldwin could’ve shifted position a little every once in a while. Their robotic spatial awareness skills were attributable to a tightrope double-act. Baldwin daren’t nudge geriatric Martin off kilter for he could literally have splattered all over the stage, whereas he himself was just pleased George Clooney (who appeared a little red in the eyes after a couple of anonymous allusions to his stardom by Baldwin) did not rise from his seat and declare “many are the men unlike me, you among them Baldwin”. On to the delectable cut-away camera shots that hastily offer an evaluation of the esteemed audience members. Watching some of these clips proved a little nauseating at times, as the recurrence of particular players like Meryl Streep and Sandra Bullock were very faithful. I for one wanted to see more of the rising stars, as opposed to the ageing and/or aesthetically quintessential ones. Most definitely the best among the audience to emerge and scuttle up to collect their dues on the stage was Monique, who, to her credit, cut the crap that many others who graced the stage forgot they were supposed to. I also liked seeing Jeff Bridges as a winner not just reminiscent of his personal past, but also of one of his most iconic roles: The Dude from The Big Lebowski. Along with that champion of a beard, Bridges’ little hoots and uses of the brotherly ‘man’ address contributed to the image of a man very much in touch with his character – I only cringed when he dutifully thanked Fox Searchlight, the “wonderful distributor”, as the millions they manage to accrue every year is thanks enough. I’ll just pay a fleeting visit to the subject of the controversial acceptance speech. Yes, unlike Rene Zellweger’s profuse thanking of numerous people nobody cared to know about, the segments devoted to winner speeches were considerably laconic, especially in the case of Monique, whose quick delivery of her appreciation was most honourable. Nevertheless, you could easily spot when the subject of the limelight was battling with their preconceptions of the award and biting the tip of their tongue to keep from uttering too many names. I never understood it myself; surely if it’s you receiving an award, it’s a moment of your life to be dedicated to you – and it’s only around a minute or so of airtime so why don’t they just lap it up for a change? False modesty is bad company. All in all, the Oscars of 2010 was not the be all end all of passing award ceremonies. But it does appear to have been a boon for some, especially divorcee of James Cameron, Kathryn Bigelow, who set a precedent for being the first woman in the history of the Oscars to receive the Best Director award – way to show up your ex-hubbie. If I were to pick a favourite moment from the event it would have to be listening to the recommendations from other actors for those in the Best Actor and Best Actress categories. It was basically a contest to see who could garnish the already splendorous nominees with the most textbook praise. Excepted from that was Michael Sheen’s first class effort at pumping out some British style praise at a largely Americanised event – a good effort. 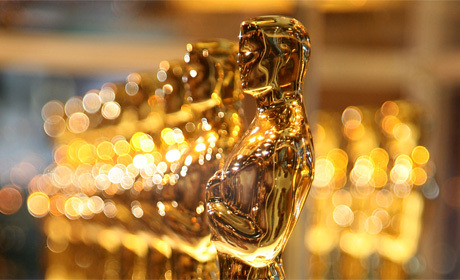 I like to think of myself as a utilitarian of sorts, and seeing the Oscars in all its crowning glory makes me wonder: what if the world was like the Oscars? How much better off would we be if every day we awoke to go about our daily business in the same atmosphere of congeniality and equality as they do on that one night once a year. You’d look at people in a whole different way, think about what you say and pronounce it with enunciation, not colloquial clipping or untimely intonation. The very steps you take to get to where you’re going would be influenced innately by the notion of splendour surrounding your every move. Everyone in Oscar Land is a saint, even those who pass surreptitiously among the kings and queens are not below their standing, just quieter and perhaps humbled by their golden citizenship. And when the sun begins to drop behind the horizon you witness the illumination of the night sky with industrial spotlights that spread their beams universally, encompassing all in all and provoking all out of all. In Oscar Land everyone is a winner and everyone wears a glittery smile. And whether you’re a skinny bald man who wears nerdy spectacles or a supple model of a woman with pearls for eyeballs you’re most certainly all equal and you always make sure your fellow Oscarites know this by constantly thanking them for, say, holding open a door for you or cleaning out the public loos. Nothing is spared by the glamour agent in Oscar Land: land of the leading people. Now, turn off that showy optimism and get back to work!